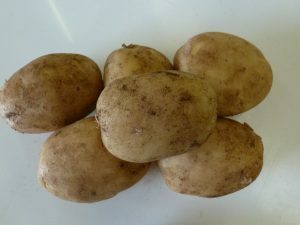 MEERA – Early maincrop variety which is extremely suitable for the production of crisps, with excellent taste and fry quality during the whole season. The uniformity of round to round oval shape, correct dry matter content and good yield, combine to give a complete commercial crop. Please don’t hesitate to contact Alex if you have any questions. 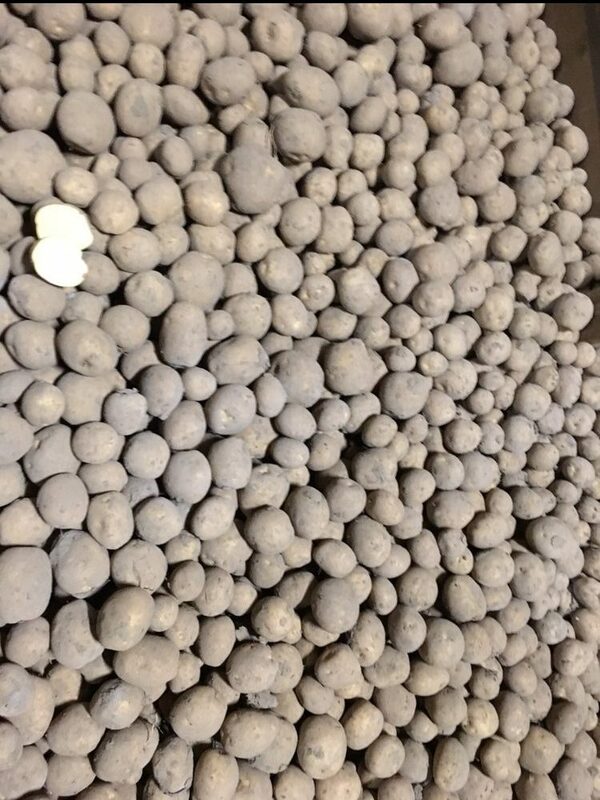 Potatoes held in cold storage. You will not find better quality potatoes anywhere else. Certified IRISH and SCOTTISH Seed Potatoes, unless otherwise stated! More than 50 varieties available, we can post as many tubers as you need. Likewise, please get in touch if you require a larger quantity than on the website. 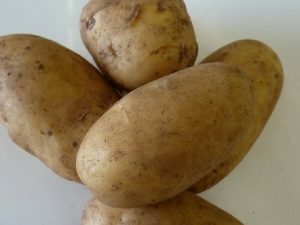 Grow yourself some genuine IRISH potatoes, great taste, great quality. Patch are specialists in all things potato. Our clients receive only the highest quality seed potatoes. Order with confidence. Wherever possible, patch will group deliveries together. Before packing, visual checks completed on all items. Therefore, please advise us immediately you receive a damaged item. Seed potatoes can grow in almost any soil type, but ideally they prefer to be grown in deep, well-drained, loamy soils that are not too heavy. These can be enriched with plenty of organic materials to help retain water and nutrients for your potatoes to grow big and healthy. Potatoes hate the frost, so a nice site facing south to get plenty of sun is ideal. Please note that potatoes are also susceptible to a wide range of pests, including slugs and aphids. If you are planting potatoes every year, they should be planted in a different position each year. This is known as crop rotation. A minimum of 3-4 years should be left before planting again in the same position. This helps reduce diseases among the crop. First earlies, second earlies and maincrop – these terms refer simply to how long it takes between planting and harvesting. 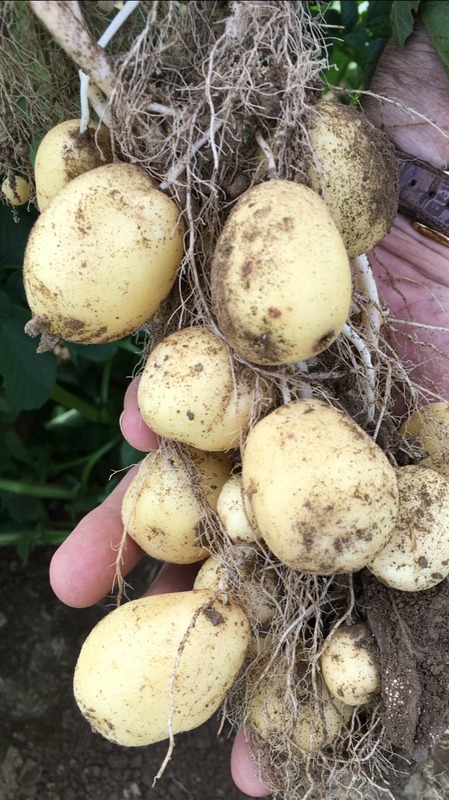 Earlies – Plant March to April (when weather turns a little milder), minimum 10 weeks to mature (13-15 weeks for second earlies), harvest around June. Maincrop – Plant mid to late April, allow approximately 20 weeks to mature, to be harvested August onwards. Maincrop take up the most room in your garden but they are the best varieties to store for eating at a later date. 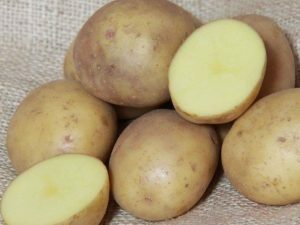 Whenever you receive your seed potatoes you should begin the process of ‘chitting’. This just means encouraging the potato grow a sprout. This is best done in a frost-free sunny area. An easy method is to leave your potatoes in an egg carton, with the blunt end with most eyes facing upwards. The short shoots that appear will help get the potatoes off to a good start when planted. While not essential for maincrop varieties, we strongly recommend chitting for your earlies. Small green or purple shoots approximately 1 inch long are ideal. Long white shoots are a sign of too much heat and not enough light. Planting usually starts by making a ‘V’ shaped drill about 5” deep in your soil. Or, if you have limited room and light enough soil you can make a hole to carefully drop your potato into. Rows should be made 24” apart for Early varieties, and 30” apart for Maincrop. Seed spacing within the row, Earlies should be placed 12” apart, Maincrop 15”. 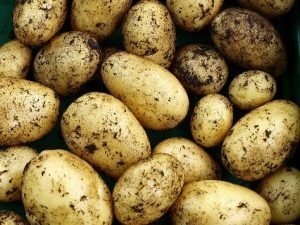 After planting out along the drills, carefully cover each potato with a handful of peat or fine soil. Make sure not to snap off the sprouts, they are fragile! The potatoes should have a covering of approx 3” of soil. As your plants grow, earth or soil needs to be used to cover the potatoes as they begin to show above the surface. This is to prevent the tubers turning green from exposure to light, and therefore inedible. Earthing up can be done to cover some leaves as well; this will not do your crop any harm. Repeat the process until the ridges become 8 inches high. Adding fertiliser can increase yields, but avoid high nitrogen rates as they will delay crop maturity. Potatoes love moisture, particularly when the tubers begin to form around flowering time. Giving the crop a heavy soaking less often is preferable as this gets down deep through the roots. First Earlies – We like to eat when freshly harvested, June-July in small amounts. Second Earlies – Same as first, small quantities eaten fresh in late June-July. Maincrop – Lift from September onwards normally. When storing, ensure the tubers are thoroughly dried, and stored in a breathable sack, in a cool, dark dry place.